Yesterday we brought you the word puzzle and coloring page, today we have an all new coloring page to keep your kiddos busy. 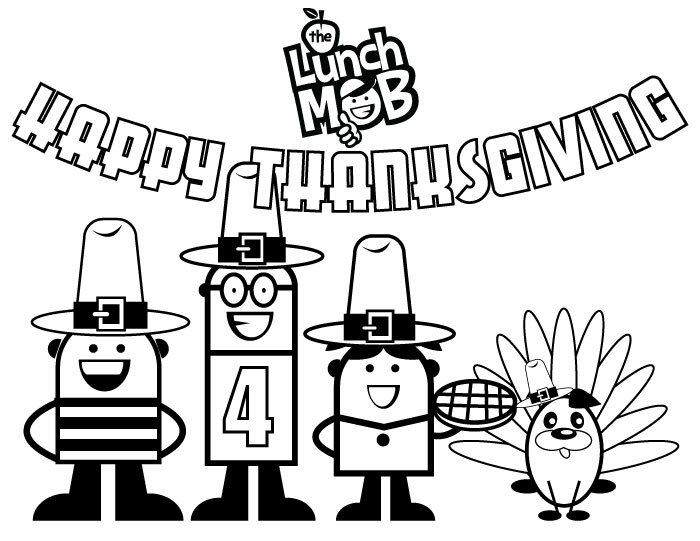 Download this fun Thanksgiving-themed coloring page. Be sure to print this page out, have your kids bring out their inner Michelangelo, and share with us the finished piece of art. Use #TheLunchMOB when posting to Facebook or any other social media network.